This club is dedicated to Spyder Ryders in Northern California and the San Francisco Bay Area. If you are a Can-Am Spyder Ryder or Spyder enthusiast that enjoys ryding with other Spyder owners, and you are seeking new adventures, then we are what you have been looking for. By joining Spyder Ryder of America™, members will have access to all group rydes, events, and meets. Members will have access to the Spyder Ryder of America™ National Site, as well as Spyder Ryder of America™ Facebook Page and all regional chapters. 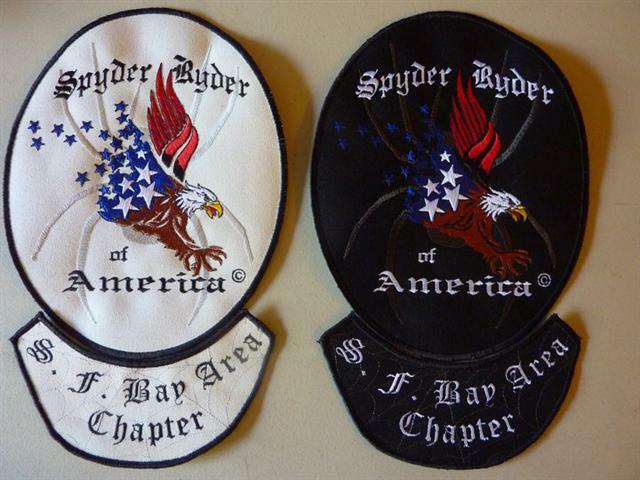 As a member of the Spyder Ryder of America™ - San Francisco Bay Area Chapter, you will get to enjoy all the benefits that the membership has to offer, including a membership card as proof of membership in good-standing, ability to purchase Spyder Ryder of America™ club patches, voting privileges, and Spyder dealership discounts (at participating locations). Additionally, the Chapter will have rydes typically following the monthly meetings. Information will be posted for these rydes and events on our Facebook page at https://www.facebook.com/groups/SRABayArea. Contact the club by e-mail if you have any questions. So, join today to find other like-minded Spyder owners and let the ryding begin! Remember it’s about the RYDE – not your destination.